A hydrogen-powered train could be operating in the UK as soon as 2019, according to the rail safety body RSSB. The RSSB was responding to a speech given by rail minister Jo Johnson, who said he wants to see diesel trains phased out by 2040. During a speech at the British Museum today, Jo Johnson said: “I would like to see us take all diesel-only trains off the track by 2040. The government is advocating bi-mode, battery and hydrogen technologies as alternatives to diesel. Mark Phillips, chief executive of RSSB, said: “We welcome the Minister’s ambition to reduce carbon emissions from the railways. RSSB is leading the way through our research and innovation programmes, and by facilitating the Sustainable Rail Programme. “In 2015, we co-funded a £7 million pilot of a battery-powered train with industry partners, and we are working with Alstom to pilot a hydrogen powered train in late 2019 or early 2020. I rode the prototype battery train in 2015 and the passwngee exoerience was no different to an elextric train. 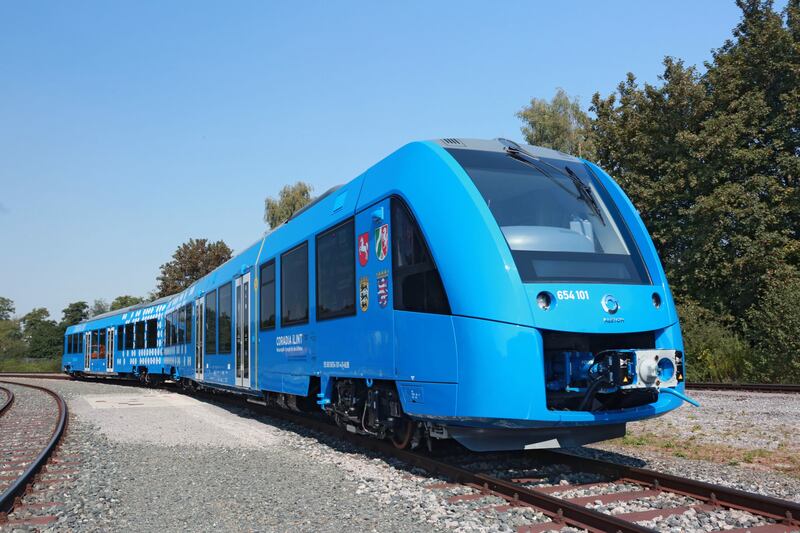 As battery train or tram technology is now being planned or used in several places including Birmingham and atteeies are an integral part of Alstom’a hydrogen power system, I can’t see too many obstaclea to overcone for a husrogen powered train to be successful! Did you ever consider doing a spell check? “The RSSB was responding to a speech given by rail minister Jo Johnson, who said he wants to see diesel trains phased out by 2040.” – no. He didn’t say “diesel trains”, he said “diesel-only trains”. So we can expect diesel hybrids to be around well after 2040. So Jo Johnson wants diesel locomotives and diesel multiple unit trains to be replaced by Hydrogen trains as well Electric and Hybrid trains by 2040. Why not introduce Bio-Diesel engines and motors to DMU stocks so that it can cut CO2 emissions. Most diesel trains and DMU stocks are very reliable and don’t break down as often. Than EMU trains do tend to break down. @Andrew. It is my understanding that Jo Johnson was talking about DMUs only – not locomotives, as I do not know of any builder that has yet designed a hydrogen powered loco.